Casino Splendido online was established in 2005 as part of the 32 Red Group of Casinos that includes Roxy Palace Casino and 32 Red Casino. This online casino is owned by 32 Red PLC, a publicly listed company that holds a license from the UK Gambling Commission and another from the Gibraltar Gambling Commission, making it one of the most trustworthy brands around. Casino Splendido has won back to back awards for the best slot site by Gambling Online Magazine. Casino Splendido has a wide selection of games spanning from slots, table games, video poker, and other games. It is mainly powered by Microgaming, although other software providers also contribute to the vast amount of gaming options. Logging on to the website reveals a neat ensemble of gold and black. The casino has a typical gambling theme with dice, cards and a roulette wheel all encrusted with gleaming gold shades. The background is black with bold red colors and the occasional casino chips lining the edges of the display windows. The logo is a play with the playing card “clubs” symbol, artistically refined to show the C and S in Casino Splendido clearly. The website also has a guide titled “Getting Started” where new players will be taken through a simple and fast orientation of the casino’s features. This section also provides a step by step guide on how to download the software, giving the specifications of the devices that are compatible with the software. This Casino Splendido review will take you through the games, software, bonuses, payment options, and licensing. An ever-increasing database of 450 plus games ensures that a player is spoilt for choice and also incorporates different gaming styles, designs, and fantastic graphics. Its game library consists of popular game categories like slot games, table games, and poker. However, all titles are the brainchild of the software provider, Microgaming. Microgaming is renowned for developing some of the best slot machine games in the market. Slots will often exhibit high graphics quality and a variety of innovative themes. Among these, Major Millions and Lots-a-Loot offer progressive jackpots along with Treasure Nile, Dark Knight, and Mega Moolah. Players with an eye for big rewards can test their luck with this jackpot slots. Avalon and Thunderstruck II also have a great many fans. 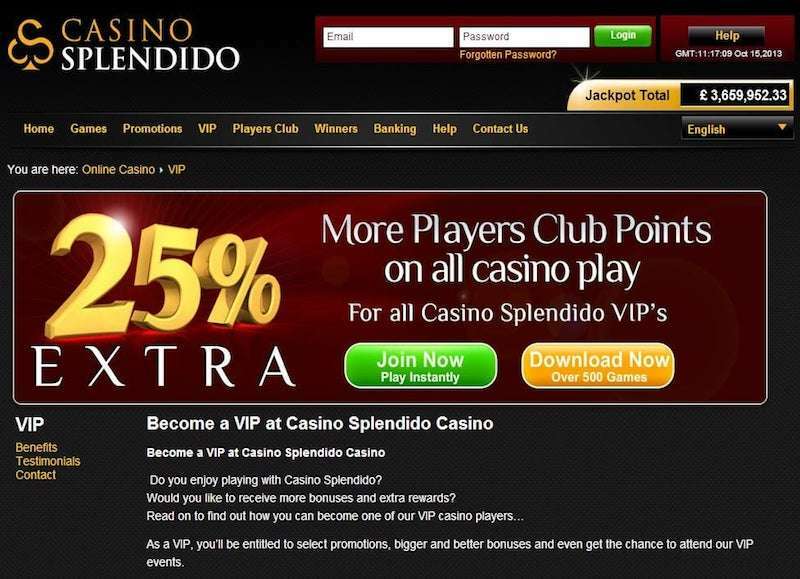 Casino Splendido’s welcome bonus takes the form of a match promo for the first and second deposits. A new customer can qualify for the welcome package by opening a real money account and depositing a minimum of 10 Euros. The new player will receive double the amount the cash in up to 120 Euros. It means that if the player deposits 100 Euros, they will be rewarded with 100 Euros bonus. The extra amount can be used to play the various games in the casino subject to a wagering requirement. The second deposit will be matched by 25%. The Casino Splendido bonus amounts and any winnings gained their use are subject to a rollover of 50 times. The player has to wager an amount equal to 50 times what was advanced to them as a bonus before they can withdraw. Bets over 25% of the bonus amount are strictly prohibited. It should also be noted that not all games contribute the same towards the bonus requirements. Slots, however, contribute 100%. A player is automatically inducted into the Players Club when they make their first real money deposit. Members of the club will earn points each time they place a bet that may later be redeemed for cash. 1000 points can be redeemed for 10 Euros. Bonus points are issued for high rollers. The Players Club has a 4 tier system including Blue, Silver, Gold, Platinum, and V.I.P. Progression in the tiers is a result of the accumulation of points. The table games category features a selection of roulette, blackjack, Baccarat, and Poker. Each of these games has variations that can be found on the gaming menu. Blackjack is one of the most sought-after games in Casino Splendido’s collection. There is a total of 24 variations of the game all boasting of high-quality graphics. You can find the classic blackjack game or 21 as is often called on the Classic Blackjack table. Other variations include Vegas Strip, Vegas Downtown Blackjack, Spanish 21, and Atlantic City. The variations are mostly multi-hand with the option of playing up to five hands in a single game. The bet limits accommodate both high and bilk rollers. With a little skill, strategy, and an ounce of luck, players can also strike gold at the roulette wheels. A total of eight variants of the game can be played in Casino Splendido. Roulette games are available in both the mobile and desktop versions. By making use of the Instant play options, there is no download required to enjoy this classic game. Find popular titles like American Roulette, French Roulette, Premier Roulette, and European Roulette. Some games may also be customised by editing table layouts. Casino Splendido does not hold back in providing for the poker fanatics. Apart from the classic poker games, several variations of the popular set can be played here. Red Dog, Pai Gow, and Cyberstud Poker are the most played games in this category. Video Poker fans will also be delighted to find the likes of Deuces Wild, Louisiana Double, Double Joker Poker, Aces and Faces, and Jacks or Better. But even a gaming experience would not be complete without featuring baccarat in its portfolio. Baccarat has been slowly gaining popularity among regular casino folk, although it is not as played as the other categories already mentioned. That is why there are only three variations available for play in Casino Splendido. Casino Splendido online also caters for the casino rookies by offering instant win games. Under the Instant Win Games category, a player will find a variety of arcade games and some scratch to win games to indulge in. These games are more casual than immersive but still issue payouts now and then. If you are looking for scratch card games, then you can sample Halloweenies, Plunder of the Sea, Golden Ghouls, and Cashapillar. For the older generation of Casino Splendido, a selection of Bingo variants exists. Ballistic Bingo, Electro, Samba, and Mayan are some of the Bingo games to choose from. Other games that can be found in this category are Keno, Wheel of Riches, Premier Trotting, and Enchanted Woods. Casino Splendido recommends that its members use Euros, Sterling Pounds, Canadian Dollars, or US Dollars when transacting with them. Even so, many world currencies are accepted here. Subject to a small transaction fee, any currency will be converted to the former by Casino Splendido. Bank Transfer takes between three and five days to reflect on the member's account. Withdrawals, on the other hand, take longer to process and dispatch; this is because, for cash out requests over 2,330 Euros or an equivalent amount in other currencies to be accepted, the player’s identity has to be verified by the casino. The process involves providing proof of identification and address. There is also a 48-hour pending period within which the funds tied to the cash out request may be used to play games. After 48 hours, withdrawals cannot be cancelled. The request funds will then be expeditiously transmitted to a member’s card or bank account. Withdrawal time ranges from 3 to 5 business days. It is a policy of the casino that withdrawals be facilitated through the same payment methods used to deposit funds into the member’s account. It is prudent to choose a method that is supported for cashing out as well. Except for Paysafecard, POLi, and MasterCard, all the above-listed methods can also be used for withdrawals. A member may only withdraw up to 4000 Euros in a week and a minimum of 20 Euros. Any balance below 20 Euros is automatically credited as playing money. To safeguard its clients’ data and money, Casino Splendido uses SSL encryption to monitor all transmissions in and out of its website. Casino Splendido has the three ordinary contact platforms which include, call lines, live chat, and email. All these platforms are available in three languages English, German, and Swedish. There is also an FAQ section that is short and close to ambiguous. Speaking candidly, this casino does not do well on this front. The live chat feature, however, seems to have more luck if you want your issues addressed promptly. Operating under the license of 32 Red PLC, Casino Splendido is regulated by the UK Gambling Commission and the Malta Gaming Authority. The license information can be found on the website along with average Return To Player rates. Many measures are undertaken by Casino Splendido to ensure that clients feel secure and safe. Apart from the SSL encryption for website transmissions, Casino Splendido uses a Random Number Generator to make sure that the outcome of every game is unpredictable and fair. Games are also run through tests and subsequently monitored by an independent entity called eCOGRA. These tests also include the average payout of all the games. Every month, the findings of eCOGRA are published on the website for the perusal of every player. Due to license restrictions and tough laws in some jurisdictions, this casino is restricted to some nationals. It does not admit players from Belgium, Angola, Burkina Faso, Côte D’Ivoire, Cameroon, Gabon, Czech Republic, China, France, Afghanistan, Denmark, French Guiana, Alderney, Israel, Iraq, Iran, Pakistan, United States, Zambia, and Zimbabwe to name a few. The full list of restricted countries can be traced on the website. 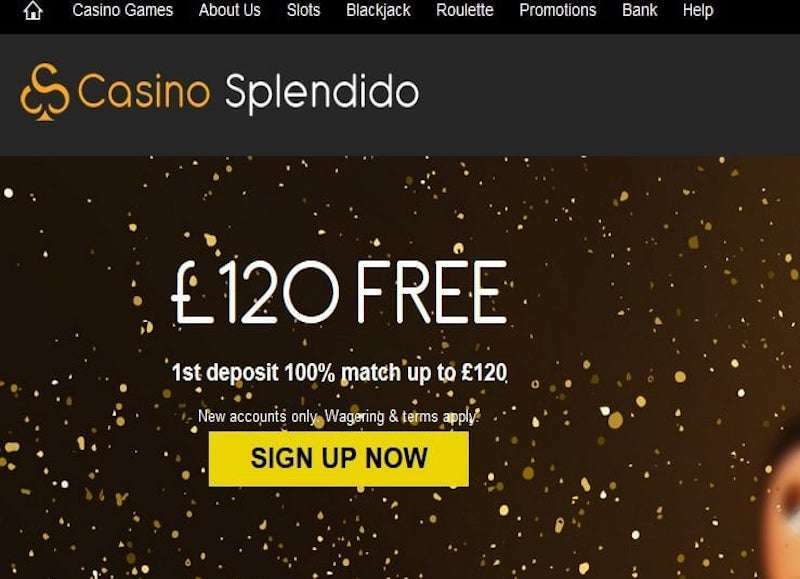 Casino Splendido is built and managed by 32 Red PLC, an operator that has already won the hearts of many across the gambling community. With experience in their back pocket, Casino Splendido knows how to appease their member’s rampant appetites and continue building a sustainable brand. There is support for a wide number of payment options. Casino Splendido allows members to transact using various methods making international transactions easier and more convenient. There is also a wide variety of games. Most of the options are available on both the mobile and desktop platform. You can, therefore, choose to play on the go. The games also come with instant play options; this means that players do not need to download software to their devices to launch the games. It also means that there is a lot of free play since instant play options also come with in-game currency that can be used in place of real money. 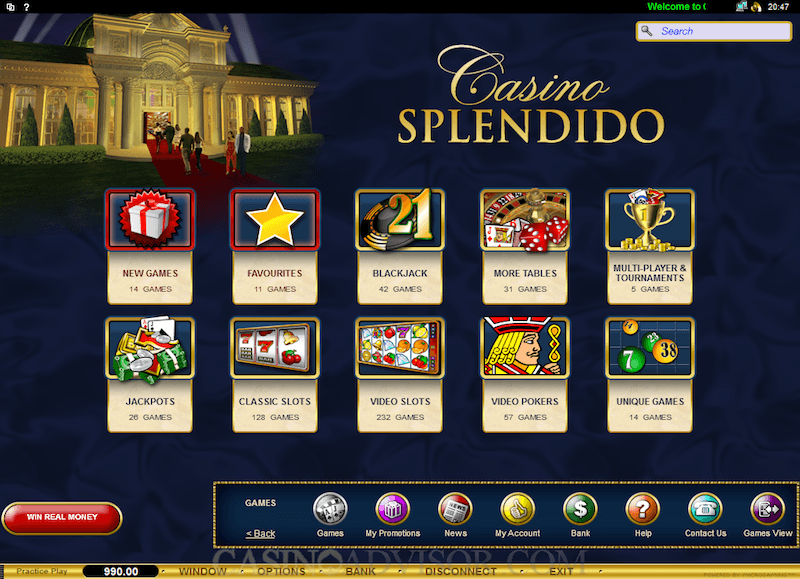 Casino Splendido online is seamless, high quality, and very indulging. Besides this, there are some good in-game bonuses, courtesy of Microgaming. The website's theme of gold and black is also easy on the eye and presents a certain nouveau aesthetic. All in all, this casino has truly learned from the best.